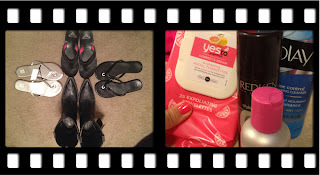 My Little HEA: Weigh-In Wednesday Week 3 and my FIRST Spending Freeze! Weigh-In Wednesday Week 3 and my FIRST Spending Freeze! 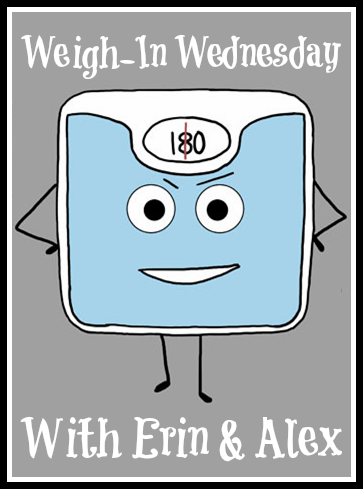 So I weighed myself this morning…it wasn't anything spectacular. A gain of 0.8 pounds is never fun (I actually thought it was more) and I could blame it on the weekend, but it was also probably because I went out to eat last night. Going out the day before a weigh in is never good but dammit I enjoyed myself! Taco Tuesdays only happens on Tuesdays...right?! So with the new month I've made some decisions and challenges for myself. Weight wise and monetarily. I want to work on my arms! I was doing really good with this…and then I went on vacation. Like two weeks ago. Got back into it today! At least three times a week, but hopefully more. I'm going on a spending freeze! See all those shoes...I don't need all of them and the two that look alike just diff colors are actually really uncomfortable. This should also help with my weight goal of getting to the 160's. Right now, that's six pounds and I can definitely do that! I know I can. So, what are the conditions I've set aside for my spending freeze? - No Frivolous spending. Clothes, shoes, jewelry, perfume, music, nail polish…pretty much no shopping for anything but necessities. - No meals out for just me. I want to be able to go out with my friends, or enjoy a lunch at work with a coworker but I don't need to be eating out for breakfast, lunch and dinner or stopping at Starbucks every morning just because I have time or am tired. Wah, wah, wah. - That's it…necessities only with a budget for fun! I will tell you that on day three I already want to buy a song that I heard on the radio…but I just took a pic of it and I'll buy it in May! Have you ever gone on a spending freeze? Should I post violations if I end up caving? I wouldn't worry about the 0.8-pound gain. It could simply be the time of day, or maybe more of your body is muscle now (muscle weighs more than fat). I think it's good to have one day a week when you don't follow the diet, like the Taco Tuesdays. I feel better knowing that I can have what I want later in the week. We haven't gone on a spending freeze but we have cut a lot of stuff out that just aren't important things. However spending money on nail polish can't be taken off my list, I'm pretty much addicted to it!! As far as weight gain, everyone will gain a little and with it not even being a pound it was probably water weight! Keep up a good workout and you will do great, you could always try the couch25k workout as well! !